What if the museum were gluten-free? 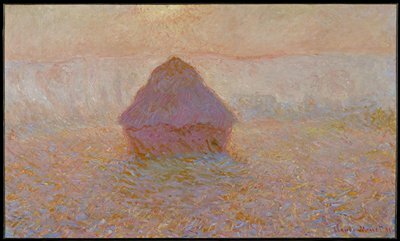 If the MIA went gluten-free, this painting would look much different—just sun and mist, really, no grainstack. And many other paintings would be seriously bereft, as well, from pastoral landscapes to Dutch still lifes. This is the kind of imagery that “hangs” in the Gluten Free Museum, a Tumblr site that magically erases anything gluten—a sometimes problematic protein found in wheat, barley, and rye—from artworks such as Arcimboldo’s food-filled portraits (below). Life, or art, wouldn’t be the same without it.